Best of Fluent - You don't need a Framework for that! 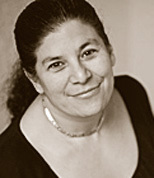 Join us for an exclusive presentation by Estelle Weyl and her talk from Fluent Conference 2012. Targeting a DOM node? Determining a CSS class? Storing and retrieving custom values on nodes in the DOM tree? No need to include a library. Dataset, classlist and queryselector can do it all for us. In this session we cover these well supported technologies that you may have missed. You may not need to include a framework after all. In this session we cover the HTML5 dataset API and the Selectors API.